What is the 21 Day Nervous System Tune-up? 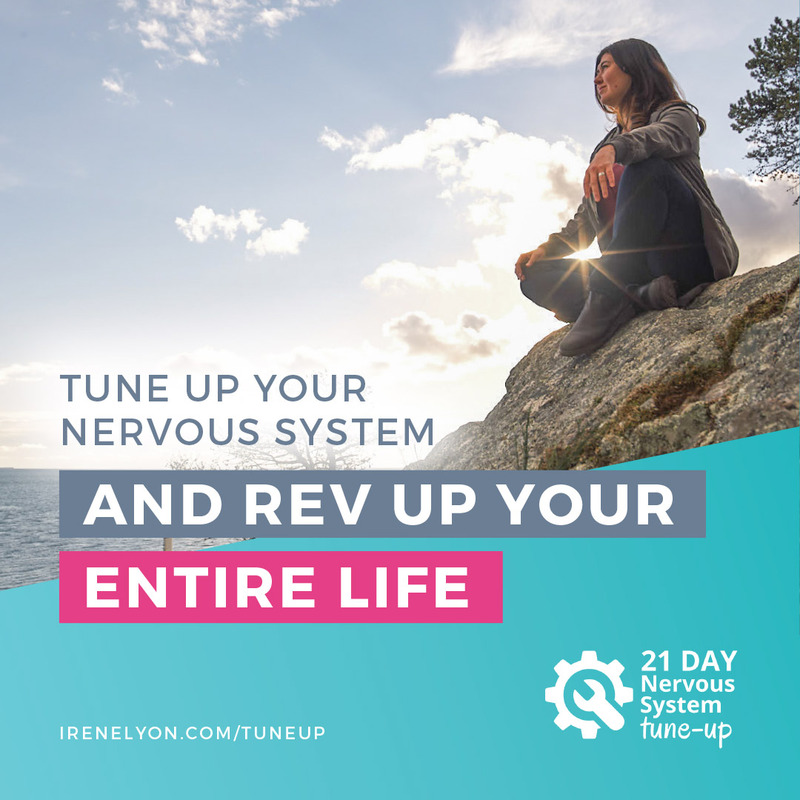 The 21 Day Nervous System Tune-up is a self-study virtual training program that blends cutting edge neuroscience with crafty neurosensory exercises, all designed to spark up your nervous system powers by helping you discover the mind-body-environment connection. The 21 Day Nervous System Tune-up is educational. It is not individual or group therapy. It educates you about trauma and stress physiology (biology of stress videos, audio lessons, and other tools), and it educates you in ways to pay attention to yourself (Neurosensory Exercises) that often have a therapeutic value. This is a result of your engagement with the process of learning and exercises within the program. Once the program ends you become an alumni of this program. With that, you will gain lifetime access to 21 Day Nervous System Tune-up content for as long as the program is in existence. This includes receiving any upgrades and new materials free of charge that are added to the program. Thus, as an alumni you will have the opportunity to revisit the material at anytime to further your development. You will have access to our official 21 Day Nervous System Secret Facebook Group year round to connect with like minded peers and have the opportunity to form study groups to assist in your healing journey. Will there be new content every day for 21 days? No and this is on purpose. Spacing and repetition are an intentional part of the program’s design. Just as you wouldn’t go see a therapist every day for 21 days, it is also too much for our delicate nervous system to be faced with a new lesson every day for 21 days. Rest, integration and repetition, as well as time to catch up if you are behind, are all crucial elements of nervous system healing and they are built into the program for that reason. When you sign up for this course you’ll be invited into the secret Facebook group. There you’ll have the opportunity to read how others are doing, ask for help and support others in their journey. With this course there is no direct access to Irene and questions will be answered by trained moderators in the FB group. Moderators are trained in a variety of methods and modalities which include, but are not limited to, Somatic Experiencing, Somatic Practice and Feldenkrais. For any technical support, our support team can be reached at support@irenelyon.com and we will get back to you within 48 hours. Our regular business hours are Monday to Friday, 9AM – 3PM Eastern North America Time. Due to the digital nature of the course no refunds are offered. The course is available to start right away, as soon as you register, and registration is always open!